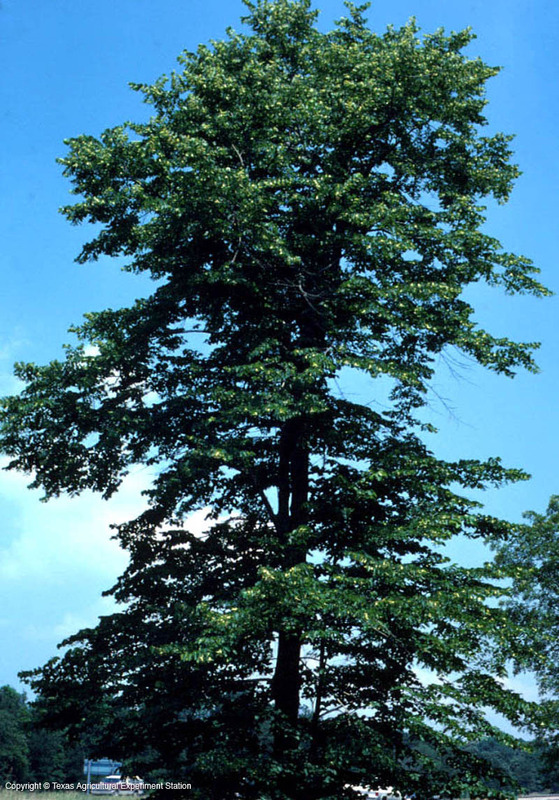 Carolina Basswood was once quite extensive in its range, but now it occurs in only about seven or eight counties in central Texas, where it grows in the rich, deep moist soils of river bottoms, and also in the Pineywoods of east Texas, where it occurs on stream banks, hillsides and upland flats. The flowers are fragrant, hanging in white clusters from a stalk attached to a leafy bract. It is sometimes confused with Mulberry, but Basswood has a lopsided leaf base and fruits that dangle from a peculiar leaf-like bract, as do the flowers. The bark is gray, with shallow fissures and flat ridges. Height: 60 to 90+ ft.
Width: 30 to 60 ft.